I wanted to share with you some pictures I did of a wedding a few weeks back. 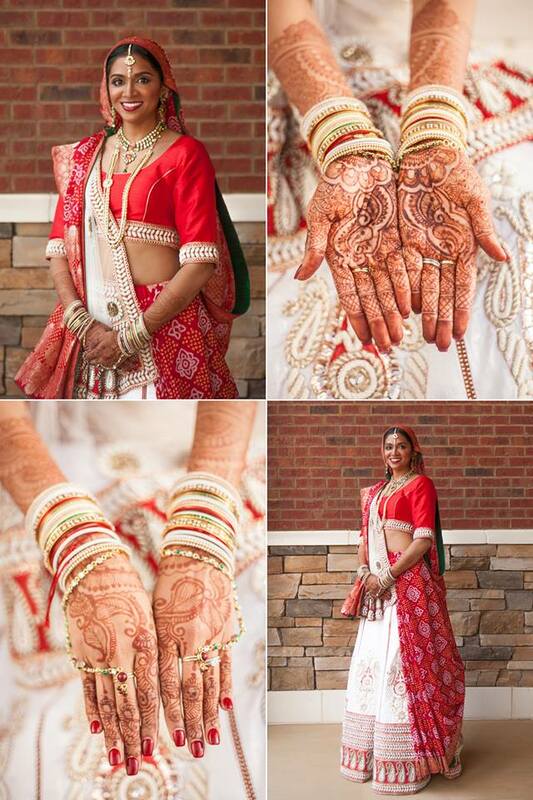 I love doing Indian Weddings. We really get to play with bold colors and dramatic look. In today's post I'm featuring a traditional gold smokey eye and red lip combo for one of my favorite clients. Check it out! 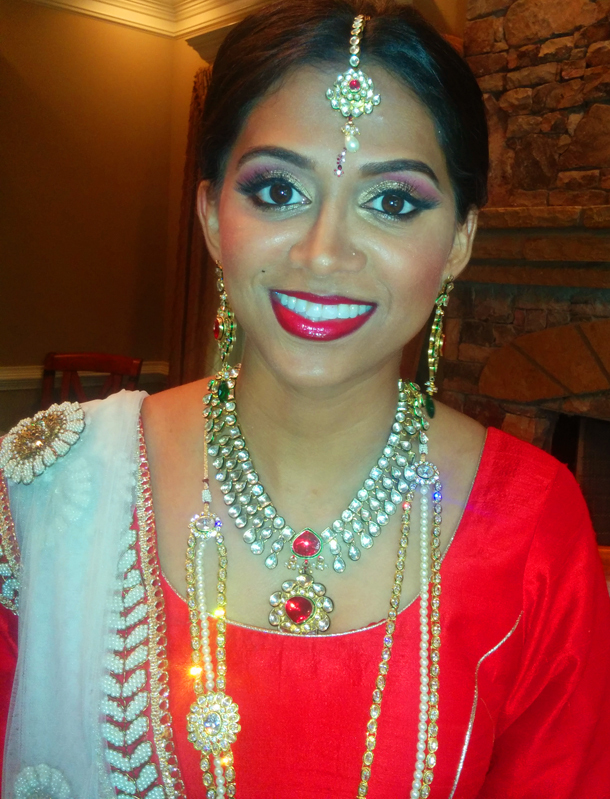 On my bride's skin I used temptu s/b airbrush foundation to give a flawless finish. She has great skin so I just used a little bit to even out her tone and to highlight/contour her skin. For dark circles, we corrected with Eve Pearl Salmon concealer in medium. On her eyes we wanted a sparkly gold eye - I used one of my oldie but goodie MAC shadows - woodwinked. To give it some pop I applied a red blush in her crease which I also used on her cheeks. 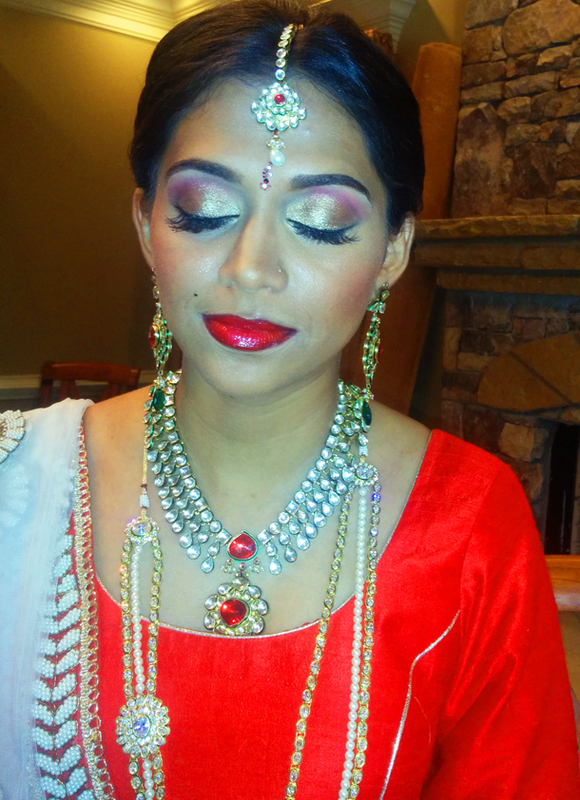 For her fabulous red lip, I first lined with MAC Vino lipstick to give a vampy effect. Then we applied Alcone Enduring Lip Color in Cherry Pie and topped that with Graftobian clear lipgloss. 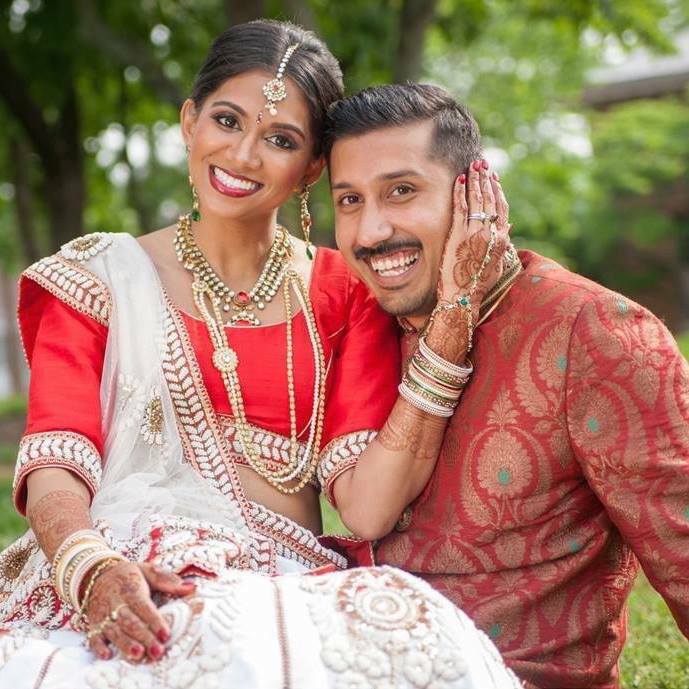 I also want to share a quick wedding video of my client where you can see the makeup in real life. I have another version of this look coming up soon for my client's wedding reception. Stay tuned!